Social media marketing can be a hugely time-consuming task - it doesn’t just involve scheduling updates to social networks and monitoring for response, it also comprises of other elements like creating strategies, drawing up calendars, finding trending content, creating visuals, finding influencers and responding to queries, all of which are just as important. Manually handling this entire process can cost you both time and money, which is why you need effective social media marketing tools to help simplify the process, and maximize your results. To help, I've created a list of social media management and marketing tools below, each of which can be a huge help in your process. To effectively manage your social media efforts, a social media scheduling tool alone will not suffice. 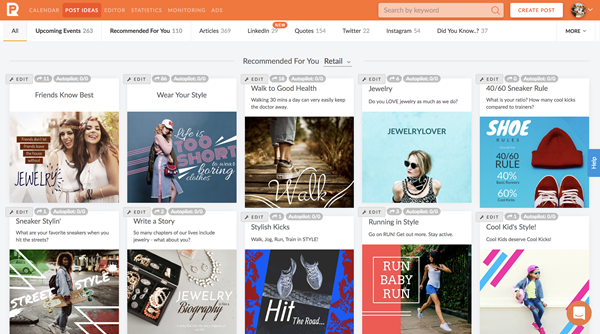 You also need tools that can help you create images, and run ads based on them. One tool that can help you execute all these tasks is PromoRepublic. 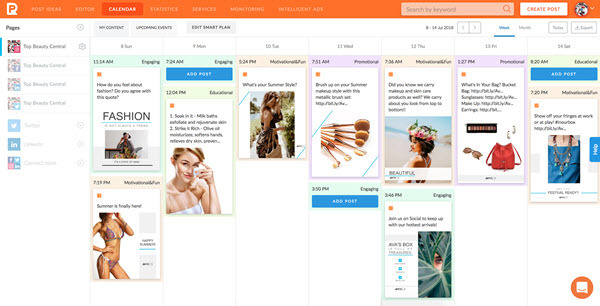 You can use PromoRepublic's drag ’n’ drop visual editor to create posts, and then schedule them directly onto platforms like Facebook, Instagram, Twitter, Pinterest and Linkedin. Creating the images is also easy, as PromoRepublic has access to over 100,000 handcrafted templates and royalty-free stock photos, which provide content ideas for 15+ industries. The app also has a 'Smart Posting' feature built into its dashboard which suggests content ideas based on date. After you create the images, your posts can be sent to the smart scheduling tool to go out at the best time, based on your industry and post type. PromoRepublic's social monitoring feature also makes it easy to track client mentions on social media, and provide responses. Multiple users can collaborate together within the dashboard, which simplifies collaboration. Along with using a social media monitoring tool, you should also use a social listening tool. 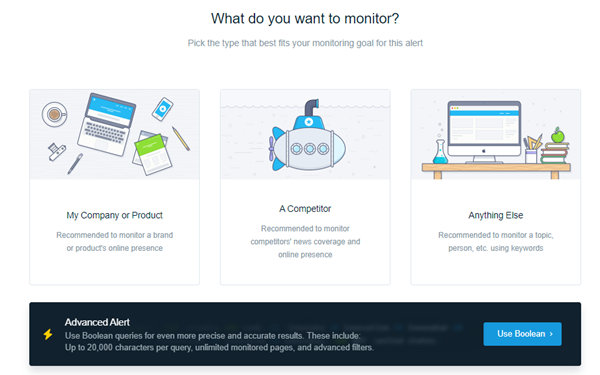 Social media monitoring tools track all mentions of your clients handles, but what they don’t track is company names mentioned without the use of a tag/handle. This happens 30.72% of the time. The only way to find these mentions is by using a social listening tool. A social listening tool like Mention, can track keywords, such as your client’s company name and product names. Mention can alert you, in real time, whenever these keywords are mentioned on social media, forums, blogs and even news sites, and you can quickly respond to the messages from the dashboard itself. You can also track other keywords, like your competitors names and products, and industry topics. This can help you gain insights which can be used to improve your strategy and stay one step ahead of the competition. Mention also tracks the sentiment of all the online mentions with their sentiment analytics. By simply looking at their graphs, you'll be able to tell if they're positive, negative or neutral. Finding quality content to share every day is another important aspect of social media marketing. Most successful social media marketers follow the 80/20 rule, where they share quality content created by others 80% of the time and their own content 20% of the time. A tool that can help you with this is Buzzsumo. Just type the keywords into the search field provided on their website and BuzzSumo will show you the most trending content on the web. It'll also show you which individual social networks the content has been shared on most, so that you can share them there. 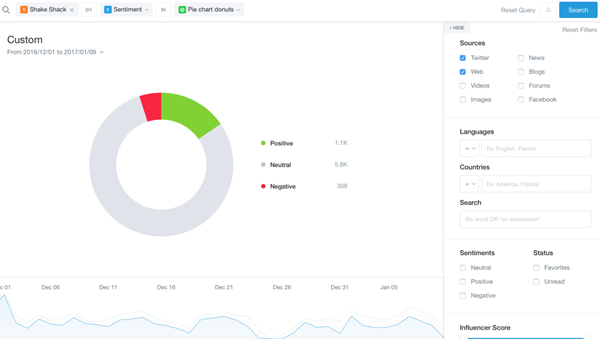 The data obtained from here can also be used to improve your content process, while BuzzSumo also has a powerful influencer marketing feature. This tool enables you to directly search for influencers or analyze popular content and see the people who have shared it. Demand for video content is on the rise, with more social networks are putting more emphasis on it. An example is Instagram’s recent launch of IGTV. This is why your business needs to consider using tools like Animoto. 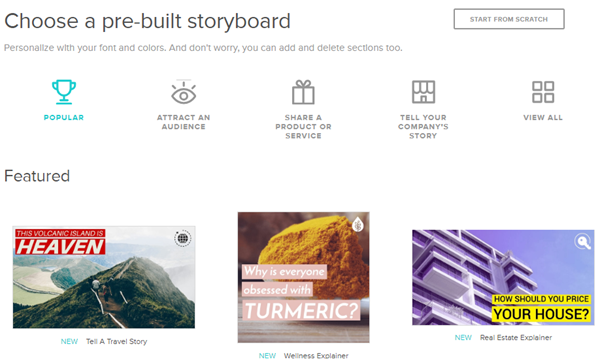 The app comes with templates and a video builder that make it easy to create your content. You start by choosing a template. Next, you can easily add in more clips, edit text, music and more. After you've created your video, you can directly share it on to social networks like Facebook and Instagram. If you’re looking for a way to cut down on the number of tasks you have to execute, you should use a tool like IFTTT. This tool lets you connect two different apps and automate tasks. These connections are known as applets. 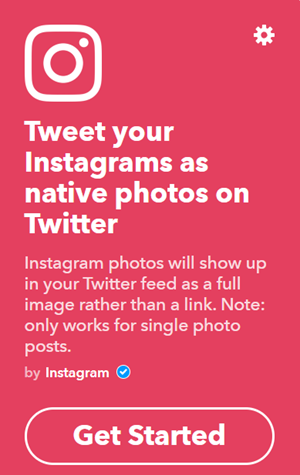 A great example of a social media marketing applet is this one which tweets your Instagram posts as native photos on Twitter. 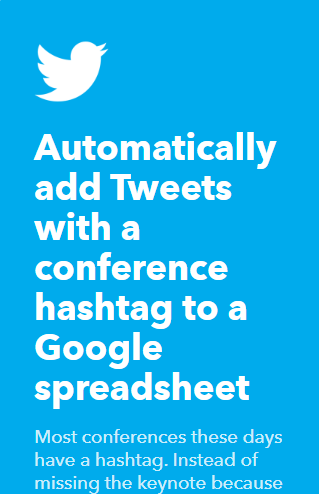 Another one is this one which automatically adds tweets with a conference hashtag to a spreadsheet. You can see several more time-saving ideas for marketers on their site - make sure you check them all out. These are five of the best social media marketing tools, which, as you can see, cover a range of purposes. If you're looking for ways to simplify your social management process, give them a try today.